February 5, 2019, CRANSTON – In Rhode Island, there is little to no memory of the last major hurricane - Hurricane Carol in 1954 – and that’s a problem, says Grover Fugate, executive director of the Rhode Island Coastal Resources Management Council (CRMC). That’s what the CRMC is doing, precisely, through a series of sea level rise, storm surge, flooding, erosion, and risk assessment mapping tools developed through its R.I. Shoreline Change (Beach) Special Area Management Plan. The SAMP evaluates the changing conditions along the entire state’s shoreline, and provides guidance for both coastal applicants and homeowners, and coastal municipal managers. 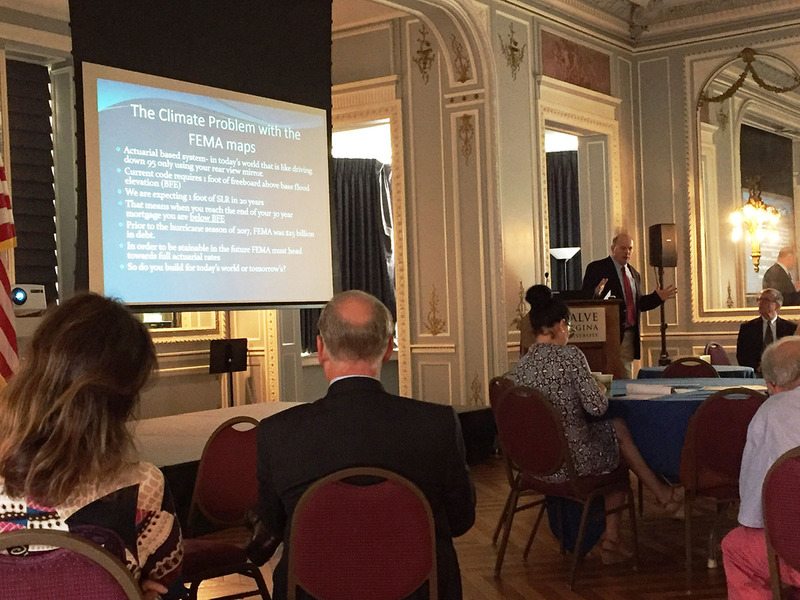 Part of that work also includes educating major stakeholder groups, including Realtors, which Fugate said are on the front lines of the challenges posed by sea level rise and Rhode Island’s rapidly changing shoreline. The CRMC is in a unique position to plan for these major changes, and to educate coastal managers and planners, as well as the public. And with a new coastal application guidance chapter in the Beach SAMP, awareness of the inherent risks will be key to Rhode Island’s ability to be resilient in the face of climate change and sea level rise. It is something Fugate speaks of often. “We will feel the effect of that warming even more here – the loss of the west Antarctic ice sheet can cause up to 25 percent more sea level rise on the U.S. coast,” he told the Realtors at the recent talk on January 15. He points out the fatal flaws in the Federal Emergency Management Agency (FEMA) floodplain maps, which actually showed lowered risk in known vulnerable coastal areas in the state. There have already been changes in the market, ones that Fugate has been warning about for years. A recent study from Columbia University and First Street Foundation, which analyzed values for 2.5 million coastal properties in Maine, New Hampshire, Massachusetts, and Rhode Island, estimated total loss in home appreciations for the four states between 2005 and 2017 to be $403.1 million. 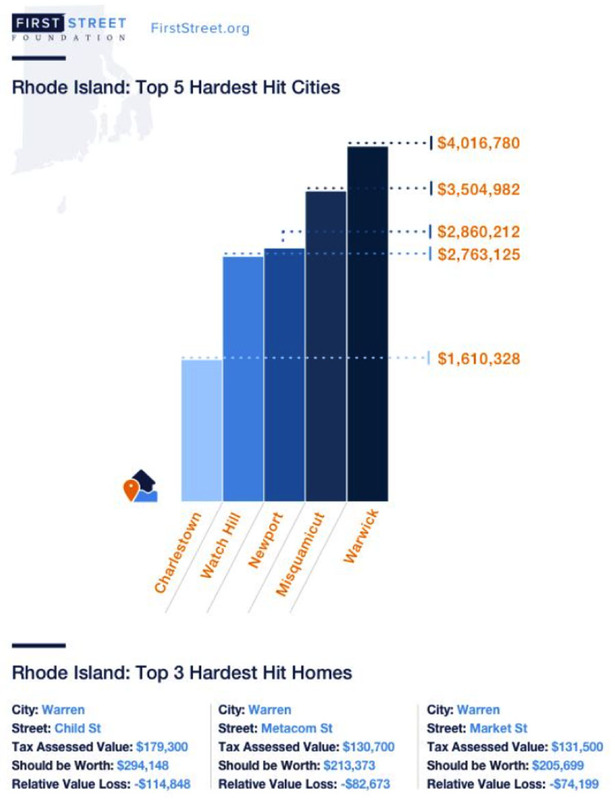 In Rhode Island, homes lost $44.7 million in appreciation during that time. These trends seem directly tied to sea level rise threats. The lack of a serious response from other regulators has Fugate frustrated, even as Rhode Island pushes forward with its proactive mapping tools and applicant guidelines. Fugate explained the effort from the U.S. Army Corps of Engineers to finance the elevation of thousands of homes along the coast, including more than 300 in Rhode Island, with possibly more to come. The Corps will bear 65 percent of the cost, as well as acting as contractor and designer for the work. He added that efforts are also going on locally – the CRMC is working with municipalities to encourage them to allow property owners to build to future sea level rise conditions and not penalize them under the current building code.